What happens when street-side flair meets 5 star sophistication? Have no doubts – the result would most definitely be an extravaganza of sorts. 24th street by Dusit Thani is precisely that – A culinary extravagant celebration of street-food from 4 countries that have – from the beginning of time – stood as a fine synonym for the best street side fare. Featuring select exquisite dishes from Japan, Korea, India and China the iconic Dusit Thani Dubai introduces its one-of-a-kind dining experience simulating a traditional Asian hawker center. 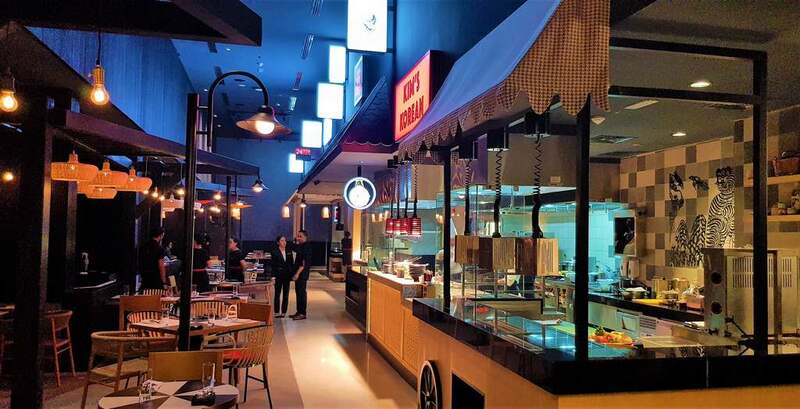 The latest addition to its line-up of multi-awarded restaurants such as Jones the Grocer, Nippon Bottle Company and Benjarong, 24th Steet is aptly named after the floor on which it is located. Blogliterati.com recently visited 24th Street both for the launch and for an exclusive tasting session this week. We found it to be a bustling eatery offering a fine selection of street-inspired culinary experiences. With four exciting specialty kiosks under one roof we were able to enjoy a selection of our favourite food from 4 different destinations all in the same place. We tried the famous malaysian Char Kway Teow, Chinese Duck soup, Indian Lamb Roghan Josh with Saffron Puloa and finished it off with Rasmalai. One of the famous street food dishes of Penang, Malaysia – the Char Kway Teow served at @24thstdubai was light, with a good balance of savoury, sweet and spicy flavours. The rice noodles was smooth, while the shrimps were large and crunchy. The seasoning and spice levels too were just right. The Lamb Roghan Josh had tender, succulent and juicy lamb floating in intense flavor packed curry and which went amazingly well with the aromatic Saffron Pulao or Pilaf. It was marriage made in 24th street’s kitchen which amalgamated into a culinary extravaganza of sorts on my plate. Synonymous to Asia’s vibrant offerings bursting with historical inspirations, 24TH St. focuses on bringing an exciting take to the traditional Korean, Chinese, Japanese and Indian’s street-food cultures. Each kiosk expresses its own individual cha­racter, taking design influences from the coun­try of its origins. In true Dubai fashion, 24TH St. makes its mark as the first and only Asian eatery offering these four distinctive cuisines in a street-style setting, amplified with a bustling atmosphere, contemporary eclectic décor and stunning views of Sheikh Zayed Road, DIFC and Burj Khalifa. 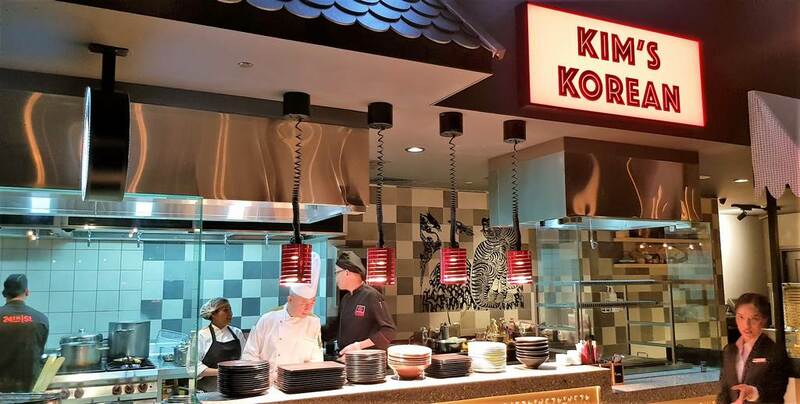 Guests can make their journey through a myriad of bold flavours and spices, served from the dynamic kitchens of Kim’s Korean, Lucy Wong’s, Momo San and Chatakana. 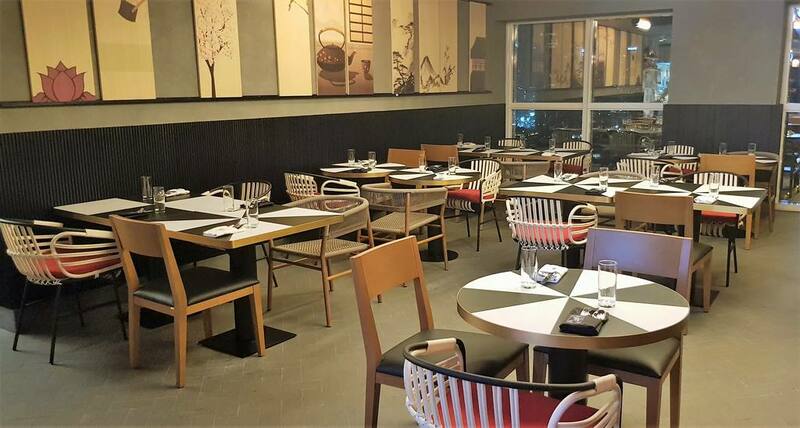 Groups of family, friends and colleagues with varied taste preferences can easily feast together with the diverse food options that the 24TH St. caters. Service is, needless to say – unmistakably Dusit thani quality – which always leaves a mark. No wonder they are known as the synonym of Thai hospitality in this country. The staff at 24th street were prompt and friendly. 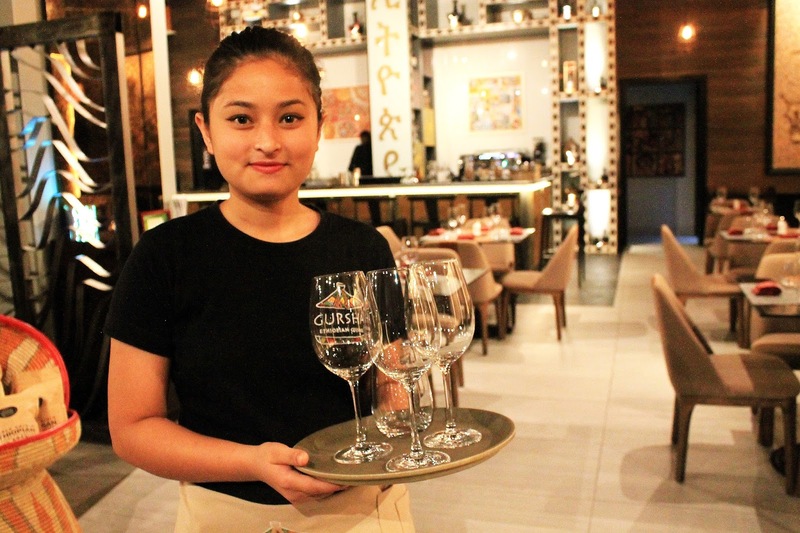 The team is headed by restaurant manager Trupti Joshi – a very friendly, jovial and hospitable young lady. She made sure my time at 24th Street was truly enjoyable. Dubai is known to have many hidden hotspots and Miss Wang is one of them. A few blocks away from the computer complexes – Al Khaleej and Al Ain Centre, tucked away on the Al Fahidi Street is the 4 Star Majestic Hotel Tower. Located just a stone throws distance away from the Al Fahidi Metro station on the confluence of the old and new Dubai, Majestic hotel is a favorite not just among business travelers, but with the locals who reside in the vicinity, as well. 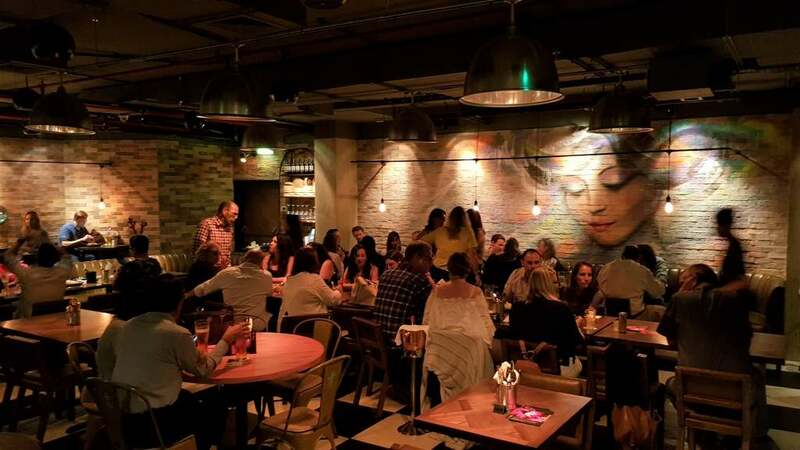 Dubai’s most favorite pizzeria Jazz @ Pizza express has relaunched with a stunning new interior design and jazzy personality. In conjunction with this relaunch, a grand party was thrown last night to dignitaries from media and other special guests. Jazz@Pizza Express has been a sought-after destination for its delicious fare, live music, decadent cocktails & bubblies and awe-inspiring service. With the new facelift, this JLT restaurant is touted to be the hottest pizzerias in Dubai for dining and wining. Known globally for the great design of their restaurants, Pizza Express commissioned the award-wining British interior designer & consultant Sharon Jutla for the refurbishment. Listed on Interior design & Architecture magazine's top 50, Sharon's portfolio includes high-end projects like Moscow Terminal 3 Airport, Ferrari World, Abu Dhabi Sports City, PWC head office in London, Noor al Ain shopping centre in Abu Dhabi, and the Edgbaston Cricket Stadium. Ethiopian cuisine has been gaining a whole new level of popularity globally off late and this is with good reason. The usage of highly nutritious native vegetables, spices and meat make Ethiopian cuisine one of the most unique and delicious cuisines in the world. What's more, the Ethiopian national staple food - the Injera, is made of highly nutritious and gluten-free teff grain. This grain indigenous to the Ethiopian region, is known to contain a very high proportion of fiber — more than any other grain on Earth. It is also a complete source of protein, iron and calcium. These healthy properties coupled with the variety in culinary choices make Ethiopian food one of world's more favored food choices. 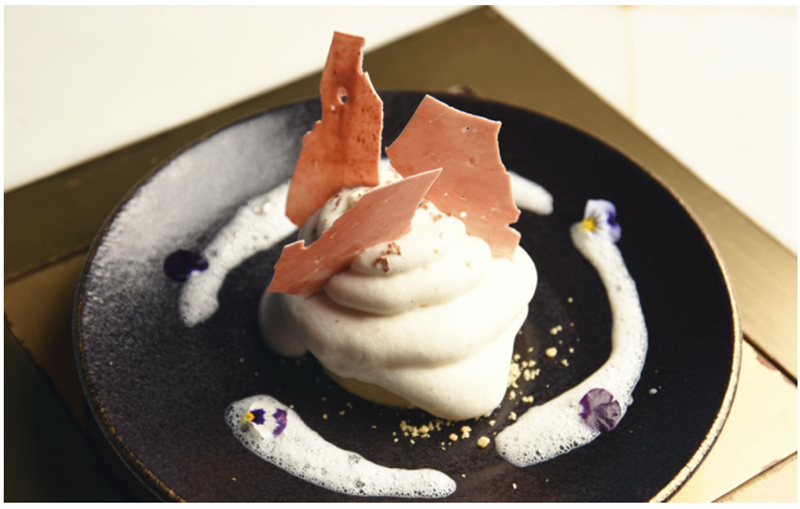 PLAY Restaurant and Lounge, Dubai’s chicest hotspot, sheds spotlight on their delectable array of contemporary desserts, perfect for satisfying your sweet cravings. Treating their elegant guests to a decadent menu, PLAY’S Director of Culinary Reif Othman has become the talk of the town for his signature Mediterrassian cuisine that focuses on innovative recipes and combinations you wont find elsewhere. “Our desserts are just as remarkable as the rest of our famous menu! We have worked very hard in creating infusions of flavours that are rare, luscious and quench insatiable sugar cravings,” explains Chef Reif. The concept of using avant-garde culinary techniques to transform ordinary cuisine into extraordinary flavors and presentations is not new. However, what you'll experience at Quattro is completely different. A relative new comer in the molecular gastronomy scene in Dubai, this Mexico-Italian Ristorante is setting new standards with its refreshing take on this modern art of cooking. Molecular gastronomy is part science and part art and Quattro seems to have mastered this, only too well. Within a space that’s both elegant and earthy, adorned with a giant tree in the center and lots of potted plants in the corners, colourful décor of yellow and blue adding that speckle of tonality to the simple wooden tables and whitewashed walls - a marriage of molecular creativity and gastronomy transpires.